Basel is a beautiful historical town located by the river Rhine in Northwestern Switzerland. Swiss German is the local language spoken here. It has the highest number of museums in the country and boasts of a runic countryside with cherry trees in full bloom. They are truly a visual pleasure to the eyes. Even more, the Rhine adds to the beauty of the city making its way through the center. “Rhine knee” is located here where the Rhine changes its course from West to North. You’ll appreciate how the city is clean, green, and safe. During the day, the Cathedral can be paid a visit which is the main landmark and heritage site of national importance. The elegant structure is hundreds of years old made up of red sandstone which adds an aesthetic value to Basel. Today, it is the center of the biggest celebrations of the city. For you museum lovers, Museum Tinguley can be visited which is located in Solitude Park next to the Rhine. It is named after Jean Tinguely who was a Swiss painter and sculptor famous for his kinetic art. Museum visitors are delighted with an amazing collection sculptures, illustration, photographs and much more. It also displays automobile culture in 20th century and shows them in the form of modern art too. It is a great place to visit for art enthusiasts. Augusta Raurica is another interesting place to enjoy on your trip… It is the largest archeological park of Switzerland. The historic site has many monuments along with a restored theatre, picturesque Roman house and the largest Late Antique silver display, plus a charming animal park complete with woolly pigs and Nera Verzasca goats. Augusta Raurica offers fun interactive experiences such as Roman bread baking and real archaeological excavations. Spending a day in history is a must do for all…you will not be bored that’s for sure! Speaking of enjoying Basel, the nightlife scene here in Basel boasts sophisticated bars. Les Trois Rois bar is one of such bars which has an exquisite collections of cocktails and wines. During the summer months, you can sit on the terrace enjoying the beauty of the Rhine while sipping in glory. The fireplace becomes a companion in the winters and lets you enjoy the stunning interiors. Bar Rouge is another place to celebrate – it is located on top of the tallest building and you can get a spectacular night view of the city while sitting in this utterly lavish space, enjoying some of the best champagnes and wines. and Restaurant Viertel-Kreis are some of the others which have a variety of delicious dishes, and great ambience for you to have a memorable, delightfully decadent time in Basel. When enjoying Basel, some unique experiences are a must: Basel tattoo offers such an experience. This takes place at the banks of Rhine every July (exact dates can change each year). 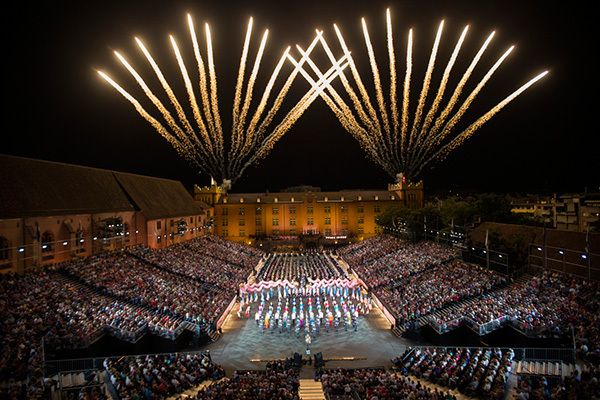 Basel Tattoo is an annual show performed by International bands and popular musicians etc. The performances are mind blowing, transforming a traveler to a different world full of melodies and musical art. This special summer event, is a must-experience for all. Basel Carnival is another event in which you must indulge. In this three day event, people illuminate canvas lanterns, bring out colorful and vibrant processions of masked and costumed participants, and concerts take place on the closing day. It is a great event to look forward to and immerse yourself and celebrate life in the culture of the city. Overall, Basel is a great, global travel destination to savor and enjoy each moment of life… Every monument, architecture and building reflects the rich culture and history. 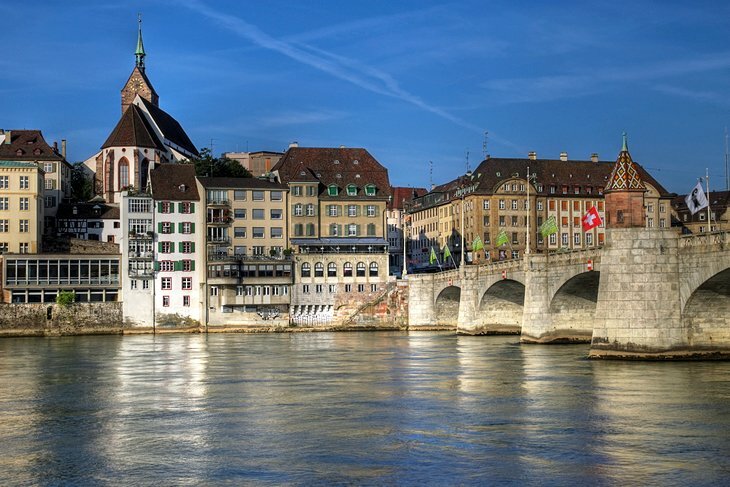 Basel offers an incredible travel experience, and is a must-see for the discerning global elite, travelling to or passing through Switzerland.